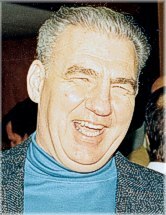 EASTON, James Melvin 'Jim' - Peacefully on Tuesday, January 9, 2018 at Caressant Care, Fergus, at the age of 87. 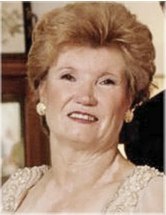 Jim Easton was the beloved husband of the late Gwen Easton (2014). Loving father of Scott (Jancey), Michael (Natacha) and Todd (Jolene), adoring papa of Christina (Adam), Cameron, Kyan, Anastasia, Megan and Noah and great-papa of Alexander, Amelia and Emily. Jim will be remembered by his cousin Jim Melvin and niece Bonnie Trollope (Bob). Jim was a Captain of The Toronto Fire Department and served with them for 33 years. FRANCESCUTTI, Luigi (Gigi) - It is with great sadness that we announce the sudden passing of Luigi (Gigi) Francescutti on Tuesday, January 9, 2018. Born on February 14, 1936 in San Vito al Tagliamento, Italy. GAUDIO, Giuseppina - passed away peacefully surrounded by family on Tuesday, January 9, 2018 at the age of 87. Beloved sister, aunt and friend will be forever missed. HOCKING, Robert "Bob" - It is with sadness that the family announces his passing after a battle with cancer on Tuesday, January 9, 2018 in Toronto at the age of 60. PACCAGNELLA, Vittorio - Peacefully with his family on Tuesday, January 9, 2018 in his 82nd year. Vittorio, beloved husband of 58 years to Maria. 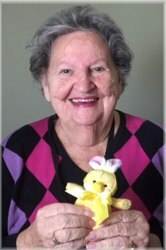 STIMERS, Margaret (nee SUTTON) - 1924 - 2018 Passed away peacefully on January 9, 2018 with dignity and grace, and entered the presence of her Lord Jesus Christ who she so faithfully served. Margaret was the beloved wife of Gordon, and mother to Ronald (Patricia), Norm (Gayle), the late Ted (Cherylene) and Hugh (Wendy). Sister of Helen Fleming, Ruth Wylie (Robert) and the late Joan Youngson (Jim). 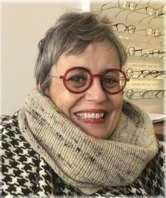 KOITSIS, Elpida - Passed away peacefully with family by her side on Tuesday, January 9, 2018. Beloved and devoted wife of Tom. Loving mother of Steve (Marry), Olga (Tom Melisis) and Helen (Tom). 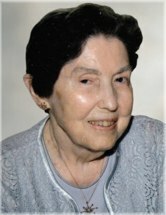 MANCHOFF, Georgina - After a lengthy illness, Georgina was finally at peace on January 9, 2018 at the age of 96. Predeceased by her beloved husband Jack and her beloved son Richard. Loving mother of Donna (Paul). NAKAMURA, Lillian Yuriko - Passed away peacefully at Sunrise of Mississauga on Tuesday, January 9, 2018 at the age of 82. Beloved wife of the late Kazuo. Loving mother of Elaine (Jay) and Bryan. Predeceased by her husband, Arthur Tuck. Survived by her daughter, Andrea Tuck-Jackson (Robert Jackson) and her grandsons, Brennan, Eric and Kyle. AGUANNO, Francesca (nee CARADONNA) - Passed away peacefully on Tuesday, January 9, 2018, one month after her 88th birthday celebration and reunited with her devoted husband Anthony. Predeceased by her parents Giuseppina and Anthony Caradonna, her brother Jack (Mary), brother Anthony (Vita), sister Nora (Charlie), sister Jean (John) and many devoted brothers and sisters-in-law, nieces and nephews. BEYLERIAN, Harry A. - A life well lived, Harry passed away on Tuesday, January 9, 2018 in his 90th year. HACK, Hugo - 1930 – 2018 It is with heavy hearts that the Hack family announce the passing of Hugo, at age 87 on January 9, 2018. Hugo/Opi passed away unexpectedly with his loving wife Mitzi (Maria) of 64 years by his side. Beloved son of Bill and Sirpa. Suddenly on January 9, 2018. KARWEL, Jan - At Credit Valley Hospital on Tuesday, January 9, 2018. Jan, beloved husband of 54 years to Zofia. MONTGOMERY, John - Passed away suddenly on January 9, 2018 at Credit Valley Hospital at the age of 51. John was predeceased by his loving mother Dolores (1990). Devoted friend of Alana and Matthew. NEATE, Clifford Arthur - Passed away peacefully on Tuesday, January 9, 2018 in his 94th year. Loving husband of the late Lorna. Devoted father of David (Elin), Julie (Les), Janet and Rick (Dani). PICKETT, Micajah Erskine, III - Born in Indianola, Mississippi, January 9, 1944 to Mary Francis (nee Wood) and Micajah Jr. Brother to Patricia (Spedler) and Annie. Micajah moved to Burlington, Ontario in 1961 where he met Carole Gardiner at Nelson High School. It is with an aching sadness that Susan's family announces her passing after a courageous battle with cancer.